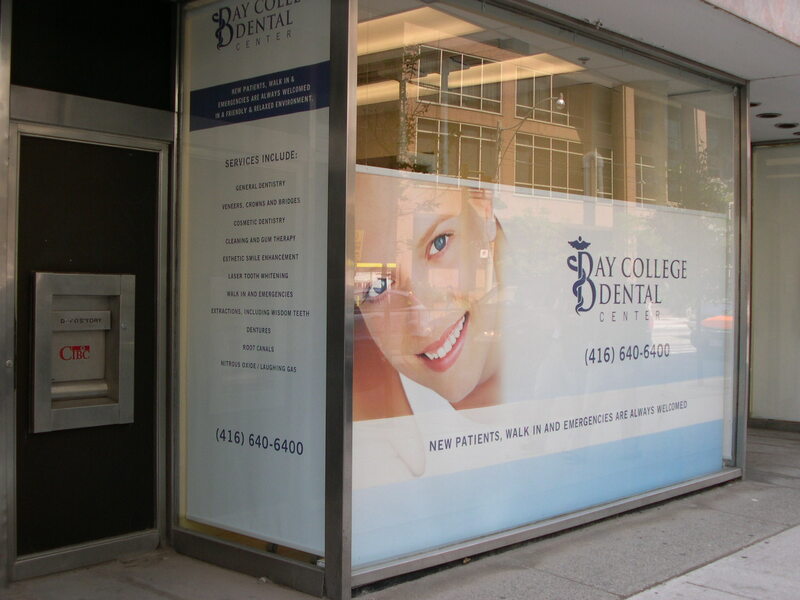 This advertisement is actually a bottom up roller shade custom made with advertising for a dental office. 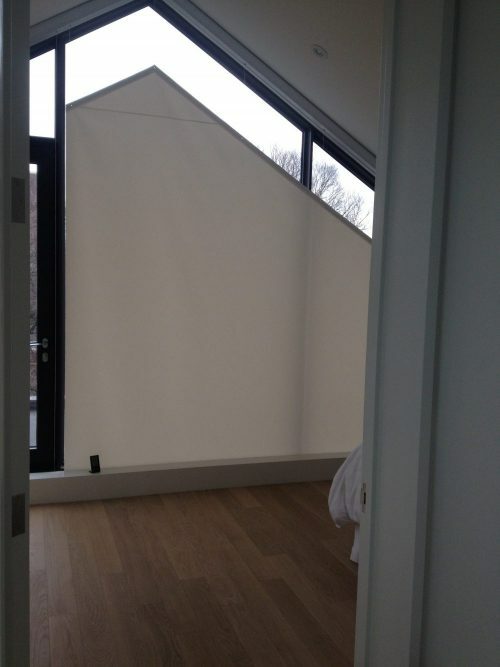 This is ideal for blocking the light while still advertising the business. This was created using a motorized Somfy System.